"And there shall come amongst them a cat of such great glory that all who see it will be sore amazed and marvel at its splendour". both written by David Roden. from Dec. 26th. The book comprises four short stories. 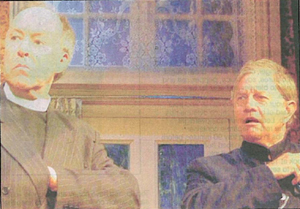 The first story, 'The Weeping', was written by David Roden and edited by Guy Siner. 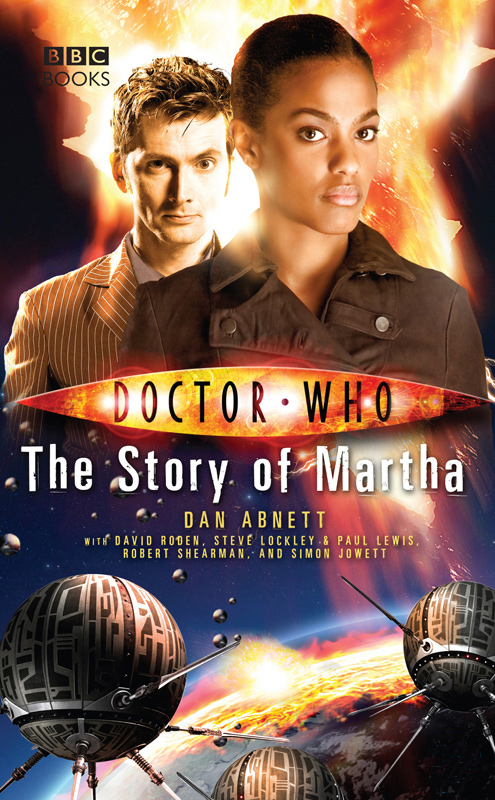 "...For a year, while the Master ruled over Earth, Martha Jones travelled the world telling people stories of adventures she had with the Doctor that we haven't heard about before. 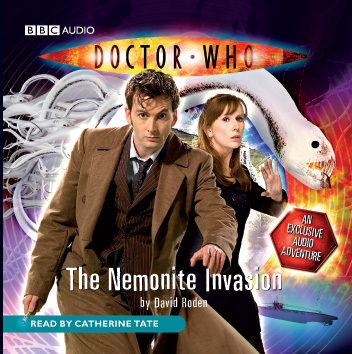 The stories that inspired and saved the world..."
Catherine Tate. It will be in the shops early next year. to launch 'Operation Dynamo'. Again Guy worked as editor on David Roden's story. Dr. Who fans - let us know what you think! Your feedback is always appreciated. "Ten out of nine times" he gets the lines right. Jim Baker, 'taking me prisoner' at right above, landed on Juno Beach at 7.25am on the morning of D-Day. He told me: "Those Canadian boys - they certainly knew how to die." 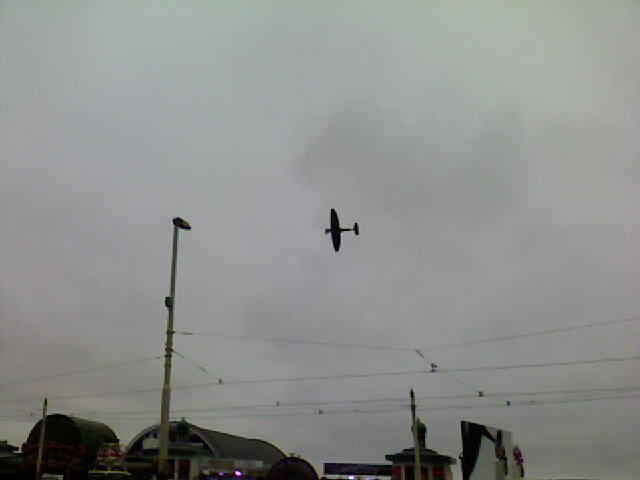 There was a dramatic fly past by a lone Spitfire. April 25 '08 Another red-letter day as Plum's Page finally updated. A huge victory over Beaconsfield gave them the championship. We have yet to see a single point scored against them. Next year they move up to the next league. Diana's father Pat Sowman would have been so proud. Another great day. Thanks and well done O's! See you all soon. another warm welcome at the club. Long Buckby. Could it be that we bring the boys luck? Long Buckby is the oldest rugby fixture in the world. The teams first played each other in 1877. 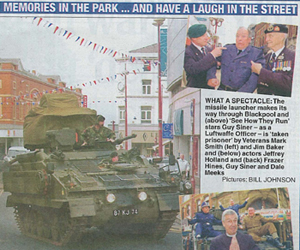 "...Watching DVDs proved a popular method of escapism and Allo Allo was one of the favourites... Lt Gruber always got a laugh... As our time in country went on in-jokes developed, our armoured vehicles were invariably referred to as "little tanks". In sum, thank you very much for the smiles that you put on the faces of my lads; in arduous and testing conditions the ability to lift the spirits is priceless and you were able to do so on occasions too numerous to mention..."
to have helped lighten the load in some small way. My own father Walter R. Siner flew with both the RAF and USAAF during WWII. I've always thought I should make a website for him. 'Allo 'Allo! tv series sold to ProSiebenSat1 in Germany! had an emphatic victory over Amersham. a supporter his whole life. so welcome! We look forward to our next visit. 'Allo 'Allo! stage show in Australia. "The Return of 'Allo 'Allo". One-off special. 'Allo 'Allo! Series 6 - USA (Region 1). 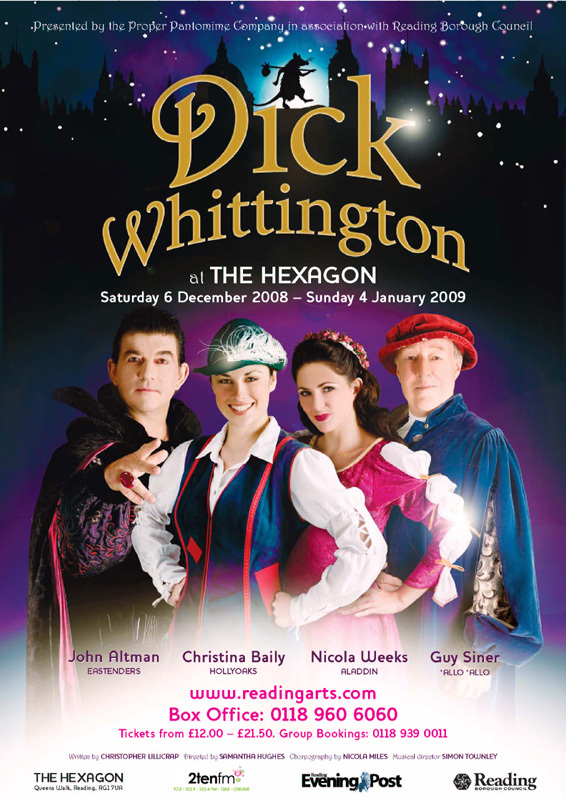 Second half of Series 5 (Eps 14-26). 'Allo 'Allo! Series 5 (Eps. 1-13). "That's My Bush!" Comedy Central. Many of you have asked about this. Now you know. (Thanks to André for the heads-up!) It was a privelege and a pleasure to work on this show with Matt Stone and Trey Parker, the creators of 'South Park', and a real shame it was cancelled after just one series.